Here are Chip McClelland’s latest Trail Counter and Solar Charger boards, together with a shot of the stainless steel stencil now offered by OSH Stencils. 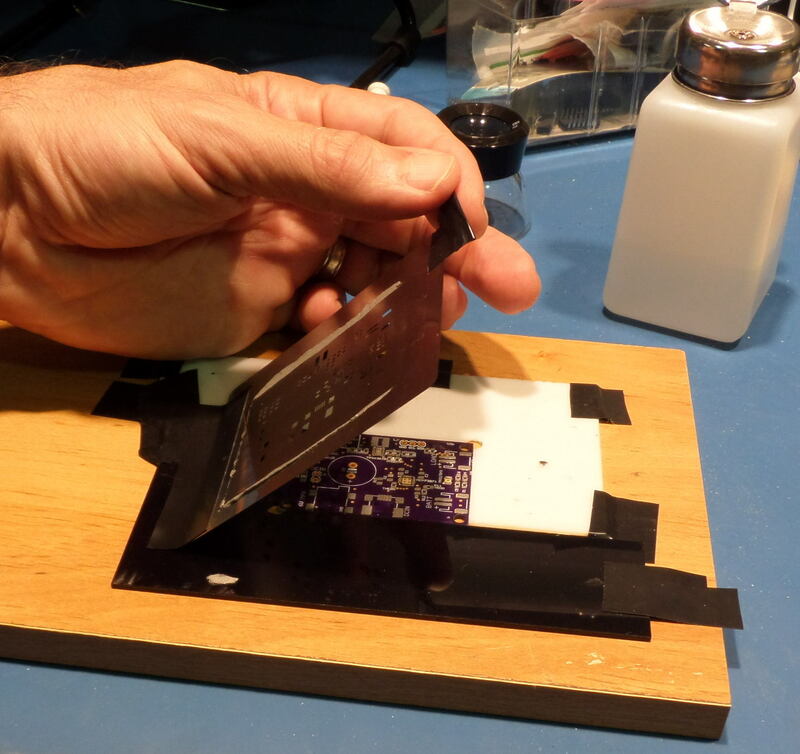 The metal stencil makes it hugely easier to get perfect pasting and confirms that the curve that comes with polymide stencils has been at least one root cause of that type being so challenging to use. There was no paste bleed through to the back of the stencil, and the fine pitched power controller and Simblee BLE chip lands were perfectly formed. To get a sense of the cost difference some existing board specs were plugged into the OSH Stencils web site: a roughly five square inch battery charger, a three square inch decade counter/divider, and sub-square inch 6-axis breakout board. The steel stencils would be almost exactly double the cost of polymide, averaging about $12 each. By the way, multiple PCB designs can be grouped within one stencil. This can greatly reduce the cost difference depending on the areas involved. 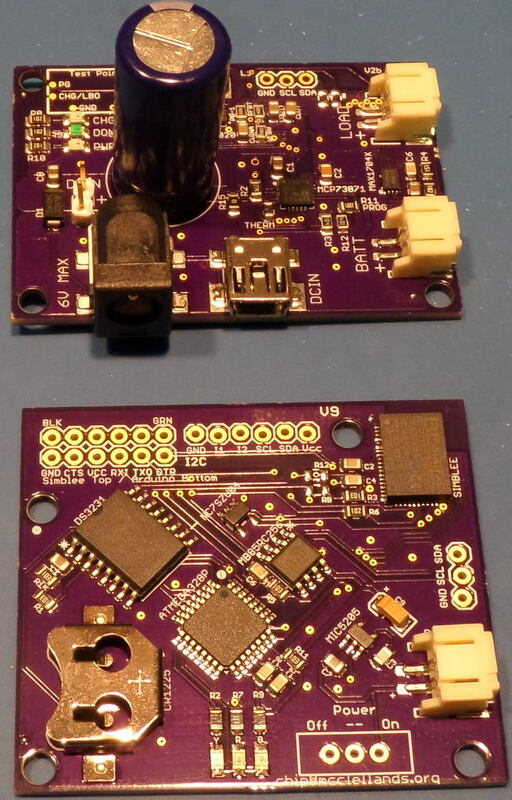 These are OSH Park boards: very deep blue/purple, sitting on a sky blue antistatic mat. This is a tradeoff with the very bright, high color temperature LED flood lights used to illuminate the bench.